 Access to Export Ltd offers a wide range of services covering many areas of export trade. Our services help companies of all sizes whether new or established exporters. All services are bespoke and either delivered on a consultancy or outsourced basis. With Access to Export managing your Letters of Credit, we can boost your export sales, allow you to access more export markets, reduce bank charges and improve your cash flow. Every company that exports any product needs to fully comply with current export control regulations. We can help you to achieve full export compliance with the latest regulations. Access to Export Ltd. will help you to ensure all your shipping and export documentation is correct and accurate or alternatively, we will prepare any documents required on your behalf. Access to Export Ltd. will recommend and arrange the most suitable transportation method for international shipment of your goods through our trusted network of carriers, partners and agents. Access to Export Ltd is able to provide a full range of export management services and if required, a totally integrated export office. This is particularly attractive for small companies that cannot justify staffing their own in-house office. Access to Export Ltd offers export training across many areas of export activity, ensuring your company has awareness and understanding of the procedures and documentation associated with international trade. Do I need to get an Export Licence for my shipment?